"ript" - Blog @ That Awesome Shirt! Click here to see our top picks or shop directly at Ript Apparel. We’re ending 2017 with a bang and a clearance sale at RIPTApparel! Save 50% on non daily designs. Ends 29th of December, 2017. Black Friday and Cyber Monday is almost here! To help you get started, we’re launching our Pre-Black Friday sale TODAY! Expires 23rd of November, 2017. 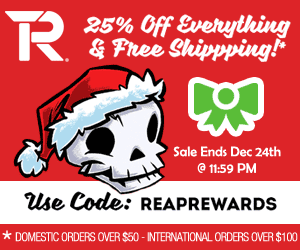 RIPT Apparel: All Horror Designs 25% Off! These savings are spooky good, so don’t miss out! For a few more days, we’re offering 25% off horror designs. Expires 5th of October, 2017. 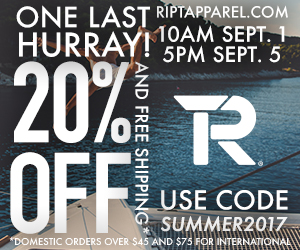 RIPT Apparel: Labor Day Savings - 20% Off Everything! It's the last hurray! 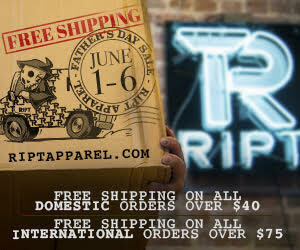 Get 20% off everything plus free domestic shipping on $45+ orders with code at RIPTApparel.com. Offer is valid 9/1 - 9/5. This alert isn’t one you will want to miss! Our clearance sale has deep discounts on designs from our most popular designers, so they’re sure to fly out of our inventory with these prices. Starting today, we’re offering our clearance tees for only $8! Ends 21st of July, 2017. 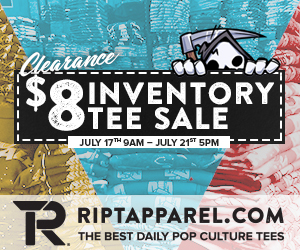 RIPT Apparel: Inventory Clean Out - $8 Clearance Sale! 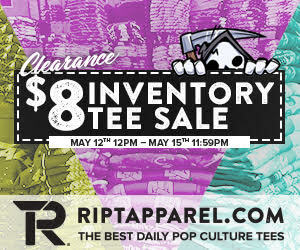 $8 Inventory Tee Sale at RIPTApparel.com! Save 60% on select exclusive tees. We're spring cleaning our RIPT tees inventory, so this is a great opportunity for you to save BIG on favorite t-shirt designs at RIPTApparel.com!